Race-inspired to make a statement on the street and standout on the track. A rounded rib profile helps control contact pressure for balanced wet performance and stability at top speeds. 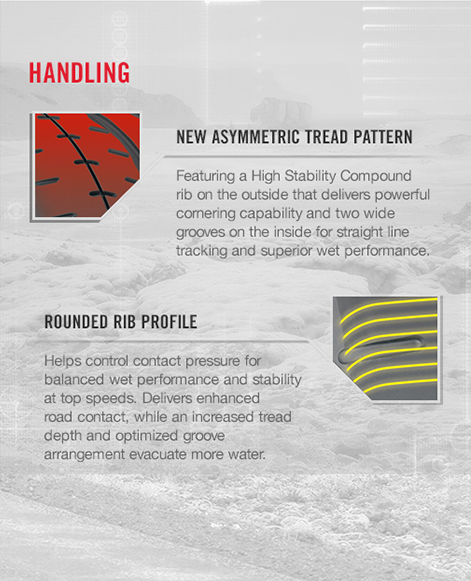 Our new motorsports MS Compound combines the extreme grip of motorsports technology with the fuel-efficiency of a BluEarth® tire to deliver outstanding handling on and off the track. 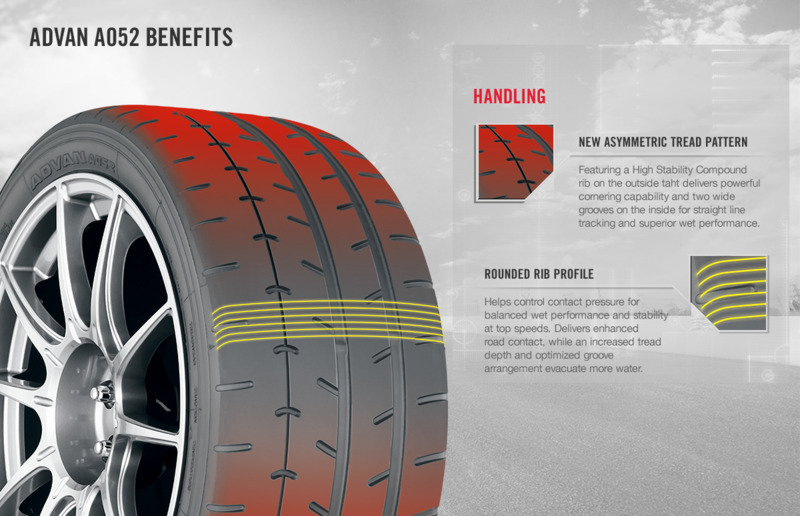 Nothing rewards your passion for extreme grip and high speeds like the all-new ADVAN A052® from Yokohama. A statement on the street and a standout on the track, its race-inspired BluEarth® engineering gives you the handling, wet traction and grip to blow past the competition.